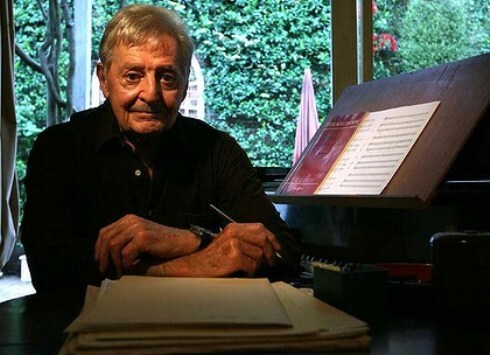 Peter Joshua Sculthorpe (born 29 April 1929) is an Australian composer. Much of his music has resulted from an interest in the music of Australia’s neighbours as well as from the impulse to bring together aspects of native Australian music with that of the heritage of the West. He is known primarily for his ochestral and chamber music, such as Kakadu (1988) and Earth Cry (1986), which evoke the sounds and feeling of the Australian bushland and outback. He has also written 17 string quartets, using unusual timbral effects, works for piano, and two operas. He has stated that he wants his music to make people feel better and happier for having listened to it. He has typically avoided the dense, atonal techniques of many of his contemporary composers. This entry was posted in Analisys of musical works and tagged 1929- Criticism and interpretation. ;Guitar music 20th century Analysis, appreciation., Guitar music 20th century History and criticism. ;Sculthorpe, Peter. Bookmark the permalink.